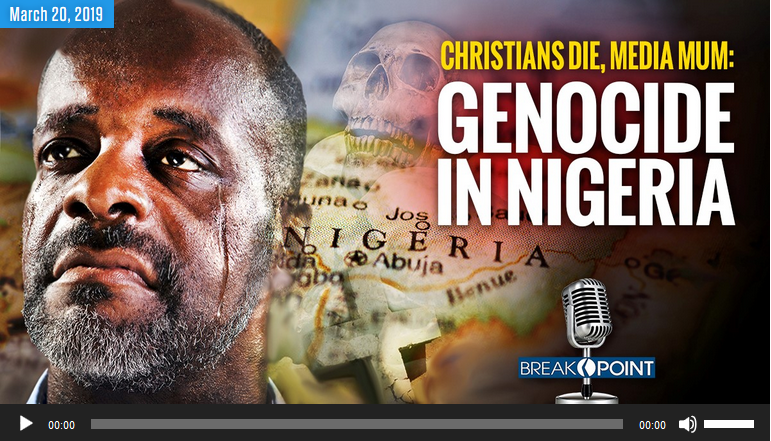 Over the past week, Senior Colson Fellow Glenn Sunshine has taken to Facebook to do something that much of the mainstream media—to its discredit—has neglected to do: alerting people to what is happening to Christians in places like Nigeria.Last summer on BreakPoint, I talked about the violence targeting Christians in what’s known as the “middle belt” of Nigeria. The population of Nigeria is almost evenly divided between Muslims and Christians. That religious split largely follows geographic lines: The northern part of the country is predominantly Muslim, the eastern and southern parts of the country heavily Christian.